Resource Center What Are Opiates? Can DXM Be Used for Opiate Withdrawal? Can DXM Be Used for Opiate Withdrawal? How Long Does Narcan Last for Opiates? As the opioid epidemic deepens across America, new and unconventional therapies are being examined as possible solutions. One such idea is using other drugs to help in the treatment of opioid addiction, which had led to questions like whether DXM can be used for opiate withdrawal. 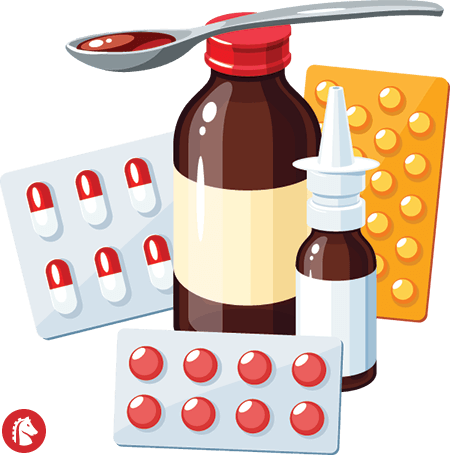 DXM is dextromethorphan, the antitussive (cough suppressant) found in everything from Robitussin to Vicks. It has also been used for pain relief, for which the Canadian Journal of Anesthesia wrote that the drug reduces sensations of acute pain “without major side effects.” However, dextromethorphan has also been abused for recreational purposes; as a widely available drug, it can be consumed in large quantities (anything in excess of 200 mg) for its latent “hallucinatory and dissociative effects,” which WebMD says mimic the effects of drugs like PCP or ketamine. The Drug Enforcement Administration writes that this can span from euphoria and hallucinations to “dissociative sedation,” where the user becomes disconnected from their own consciousness and identity. With this in mind, how could DXM be useful in treating the withdrawal symptoms of opioid abuse? Research published by the International Journal of Clinical Pharmacology and Therapeutics noted that there are three main processes that are responsible for a tolerance (increasing need) for opioids and for the associated withdrawal symptoms (e.g., muscle cramping, excessive yawning, sweating, hypertension, etc.). Studies conducted as long ago as 1990 found that the use of certain antagonist drugs (which inhibit a biological response by blocking receptors in the brain) can reduce both the tolerance for the opioids (meaning the user will not have to take escalating amounts of the opioid to get high) and the withdrawal symptoms. Dextromethorphan is such a drug. The 1990 study found that heroin addicts going through severe withdrawal who were given 15 mg of DXM every six hours had significantly fewer withdrawal symptoms than heroin addicts who were given other drugs. Only perspiration and vomiting were standard among all patient groups. The researchers in that study were optimistic regarding the use of antagonists like dextromethorphan to treat opiate addiction and withdrawal. Other research (both on human and animal subjects) has also found that DXM “is effective in the relief of [opioid] withdrawal symptoms,” which opens up the possibility that doctors will not have to use milder opiates to help patients wean off their addictions and can instead use a non-opioid antagonist. The Drug and Alcohol Dependence journal noted that in mice studies, the level of DXM in the brain was “inversely correlated with the intensity of opioid withdrawal syndrome”; the stronger the DXM dose, the less severe the withdrawal. However, every patient is biochemically unique, and all presented with different levels of opioid addiction to different kinds of opioids, so there is no way to know for sure how any given person will respond to dextromethorphan, especially since DXM can be addictive in and of itself. DXM can potentially be useful in the treatment of opiate withdrawal, but as a drug with significant side effects, it should not be taken without careful medical supervision. Anyone who wants to break free from an opioid addiction should consult a doctor or treatment facility before attempting to use dextromethorphan.